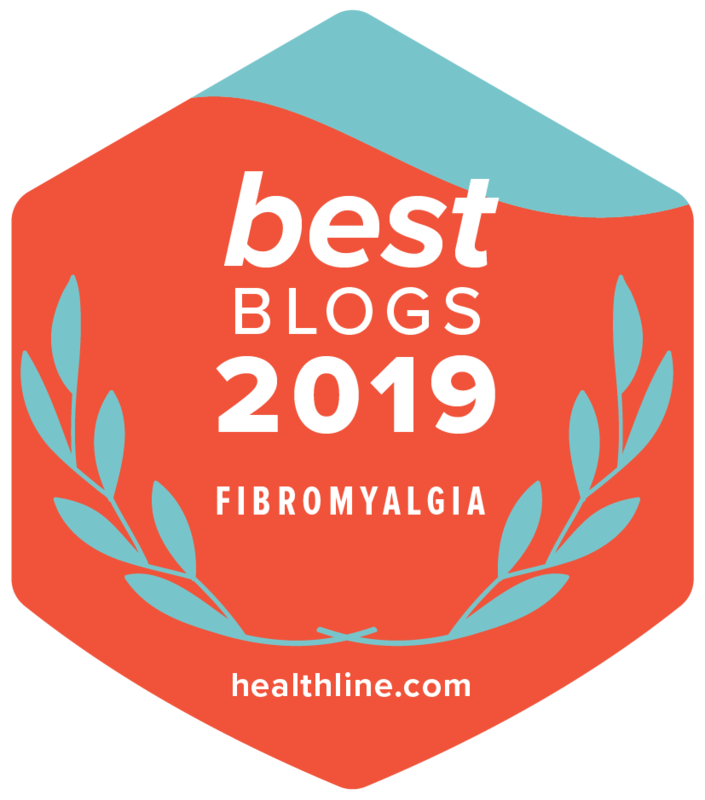 As many of my regular readers know, I have been seeking alternative therapies for Ankylosing Spondylitis, Fibromyalgia, and Chronic Fatigue Syndrome since 2009 when I first received my diagnosis. As my health continues to worsen, I am constantly looking for new ideas and different treatments, especially natural treatments, to help me manage my conditions. I had great success with Reiki a few years ago until my Reiki specialist moved away. I’ve also tried several treatments that did not agree with me, including Traditional Chinese Medicine, cupping, scraping, bloodletting, and acupuncture. Last year, I met Gabriele Seewald through my work with the Canadian Chamber of Commerce in Taiwan. She kindly invited me to the Women in Conference event that she was hosting with some other business women here in Taiwan, and I went to learn more about the different types of services she offers at her health and wellness center, REJUVENATE, which is located in Tian Mu, Taipei. The conference was incredible and I met some remarkable women there that had great advice for me. After watching Gabriele’s presentation at this event, I decided to book an appointment at REJUVENATE for a ROLFing treatment. I’ve heard that other women with AS and Fibromyalgia have had success with ROLFing. I was pretty stressed out the day I had my first appointment at REJUVENATE. My energy levels were really low and I was in a lot of pain. I had extreme muscle exhaustion in my arms and hands, and to my utter embarrassment, it was difficult to even cut my own food that day at lunch. I thought about canceling my appointment, but it was important to me to continue with my hunt for something – anything – that would give me some relief. When I arrived at REJUVENATE, I met Gabriele’s partner, Ellen, who could immediately tell that I was not doing well and rewarded me with an extremely gentle hug. Kalen arrived shortly afterwards and the three of us sat down to discuss what my best option for treatment was. I thought I was ready for ROFLing, which is a type of deep tissue manipulation that was devised by Dr. Ida Rolf. This type of massage therapy targets our fascial web. Fascia are sheets of connective tissue that enclose our muscles and other internal organs. This technique is also called structural integration, and it is aimed at the release and realignment of the body, and the reduction of muscular and physical tension. It took Kalen about three minutes to decide that ROLFing was not the right treatment for me and that we needed to start with something gentler. She thought it would cause more harm than good. Gabriele and Ellen agreed, and they suggested that I try a treatment called Jinshin Jyutsu, which is a simple style of acupressure. It is an ancient Japanese art that utilizes gentle touches with the hands and fingertips instead of using acupuncture needles. This allows blocked energy pathways in the body to freely flow. Let me start by saying that one of the most traumatic things a chronically ill person can go through is a new treatment, especially when you are severely fatigued and in pain all the time. First I have to get myself to my appointment, which is no small feat. Then I have to experience a new treatment that can be both physically and mentally exhausting, and then I have to get myself home. Chronically ill patients tend to go into treatments or new types of physical therapy with some hope, but a lot of apprehension, anxiety, and fear. The very first question Kalen asked me when she saw me was if I could remember the last time I cried. I couldn’t, and she told me that crying is essential and that I need to be able to let my sorrow go. She also explained that the treatment might be painful, but that she would talk me through the 90-minute session. What followed was an incredible experience. She listening to my pulse and confirmed that my pulse was weak and thready, which means that my energy is very low. This information has been confirmed by every doctor I’ve seen in Taiwan, so that was no surprise to me. Then she listened some more and told me that the left side of my body and the right side of my body weren’t talking. She also said that my body was broken in a million pieces and that it would take some time to unblock the energy pathways in my body. She began by touching different parts of my body. It didn’t really feel like much to begin with, but the longer she applied pressure to certain areas, the more uncomfortable I became and in some cases, my body, especially my right leg, was jumping up and down all on its own. It was the strangest thing! We talked throughout most of my session, and as she proceeded, I could feel some energy rushing through the left side of my body. About 20 minutes before we finished, I got really cold. She wrapped me up in a blanket and told me it was natural for patients to experience different things during the treatment, like crying, releasing gas, gurgling stomach, feelings of being hot or cold, or even having to go to the bathroom during the session. Afterwards, they kept me wrapped up and gave me some hot tea. Kalen left, and I sat with Ellen for a while and she chatted with me until I headed home. Before I left, she gave me another big hug and told me that I’d be ok.
For the second time in my life during a treatment, I felt that I was in a safe place with people who cared about me and that were doing everything in their power to ensure that they could help me in my path to finding wellness. When I got in the taxi to go home, I burst into tears (YAY! Crying!) and couldn’t do much for the rest of the day, BUT the next morning, I leaped out of bed and I felt great. I was simply shocked at the difference in how I felt. Of course, I waited too long to go back and I didn’t see Kalen and Ellen until a week and a half ago. Once again, she checked my pulse and expressed concern that my pulse was so weak. She could tell I was at the very limits of my energy levels. The first thing she told me was that if I didn’t release my sadness, fear, and anger, I wasn’t going to get better any time soon. She asked me why she was sensing these feelings coming from me, and we talked about it a lot. My 90-minute session turned into a three-hour session, and during that time, she was right by my side the whole time, helping me to work through things, and telling me to relax and that I didn’t need to hold myself so tight. It is a comforting thing to have someone say to you that they have you and won’t let you fall. She repeated the same words for me from our first session: The longer I try to hold myself together and push through, the worse I will feel. 3 hours! I couldn’t believe it when I walked out of the treatment room, and then, of course, there was Ellen, waiting for me with tea and a big hug. I couldn’t believe they had taken the time to work with me this long when I’d only been booked in for 90 minutes. This time, I didn’t cry on the way home. I came home with Kalen’s message ringin g in my head and I decided to paint some rocks with the three feelings that Kalen said were preventing me from getting better. They are now sitting in my home where I can see them and the reasons why I am experiencing these feelings are written on the back of my stones as a reminder. I think this therapy is working for me and I am booked in to see Kalen again in October 2016. UPDATE: My October session with Kalen was very successful. (This was my third session with her.) I was really tired and in a lot of pain when I got to REJUVENATE. I had a lot of swelling along my ribcage that was making it hard for me to breathe. By the time I left, Kalen had reduced the swelling under my ribcage and in my stomach she had unblocked some of my energy pathways. I definitely had a little more pep in my step when I got off the table, and I have booked another session with her in November 2016. As someone who has been to REJUVENATE and has experienced first-hand what these incredible women have to offer, I would say that if you are in pain or if you’re having a crisis or you’re simply looking to improve your overall sense of well-being, this is the place you should go to. Kalen was born in Taiwan and she is certified in Rolfing, Jinshin Jyutsu, Structural Integration, Visceral Manipulation, and Personal Training. She combines different professional techniques with her personal experience and sense for the unique requirements of each individual in her treatments and she fluent in Mandarin & English. Gabriele Seewald was born in Austria. She moved to Beijing in 2001 to learn Mandarin and met her husband in Hong Kong shortly thereafter in 2003. She moved to Taiwan with her husband and three children in 2009. Gabriele founded her business in 2014 with a team of creative and talented individuals who believe in helping people with natural and holistic approaches that are rooted in science and that are proven to work. This is a woman who celebrates life and who radiates love with everyone she shares her time with. Ellen is a sweetheart and she is so incredibly supportive. I’ve never met anyone like her. She radiates energy and I believe she genuinely cares about my health and recovery. She checks in with me regularly on Facebook and she has come out to the Walk Your AS Off walks that I’ve organized in Taiwan. We believe that we can empower ourselves and empower other people. THANK YOU SO MUCH FOR YOUR LOVE, KINDNESS, AND FOR YOUR COMPASSION, LADIES!